I have recently become a runner - what started as a way to get back into shape after some injuries has now developed into a full-on midlife crisis. 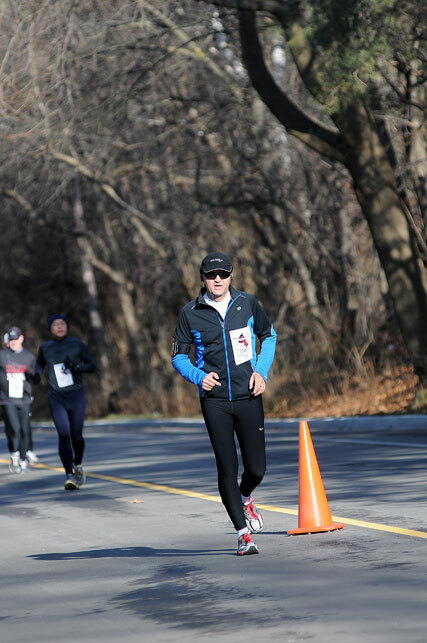 Since I am training to run the Ottawa Marathon and raising money for a charity along the way, I wanted to write something about the technology related to running. First, there are the fancy shoes and clothes which have evolved dramatically in the last years. Yes, that stuff is pretty high-tech and expensive too. Basically, nobody runs in a t-shirt anymore - you need the latest and greatest dry-fit moisture whisk-away clothes and a pair of running shoes with extra support. That’s not to mention the fuel belts with high-tech nutrition from Gatorade to energy gels and recovery drinks. But for us tech people, the gadgets are far more interesting. I run with a Garmin Forerunner 210 watch with a GPS receiver that also collects data from my foot chip and heart monitor. The foot pod measures my cadence, speed and distance when running indoors. Combined with the GPS based pace, speed, distance, elevation, and route and with the pulse data from my heart monitor, I am collecting more data on my watch than what Formula 1 cars were capable of just a few decades ago. Just check out the data from my recent race for the level of detail I get. When training, I also run with my iPhone to listen to something that keeps my mind away from the miles. I usually listen to books from Audible.com which I like better than some peppy music, although that’s a matter of personal preference. I use wireless earphones that connect to the iPhone via a Bluetooth connection. I tried regular ear-buds for a while but the cable was always getting tangled. The next level of technology is available online. From plentiful training advice, race registration, pace calculators, and training plans, the Web is full of useful info. But what I find particularly motivating is the mutual sharing of training data on social media. Most of the running software such as Endomondo, MapMyRun, NikePlus, and Garmin Connect not only display and analyze the data but also enable sharing it via Facebook and Twitter. Seeing my Facebook friends post info about their training runs is very motivating - knowing that they will see my own results makes me run harder. I know that the frequent posts might annoy and sometimes even demoralize the non-runners but please forgive us. It’s not like we are tweeting what we’ve had for dinner... Mutual encouragement for sport enthusiasts is a great use of social media! Finally, the technology managed to transform another aspect of running - fund-raising. Running and other amateur sports have long been connected to fund-raising efforts for various charities. Today, services such as Razoo or Kintera make it very easy to set up a fundraiser for one’s favorite charity and take care of all the payment processing. They even send the donors a receipt for their tax deduction. What we have here is one way to see some excitement without going too far. For more and more people, the local marathon is becoming a quick and easy adrenaline rush.